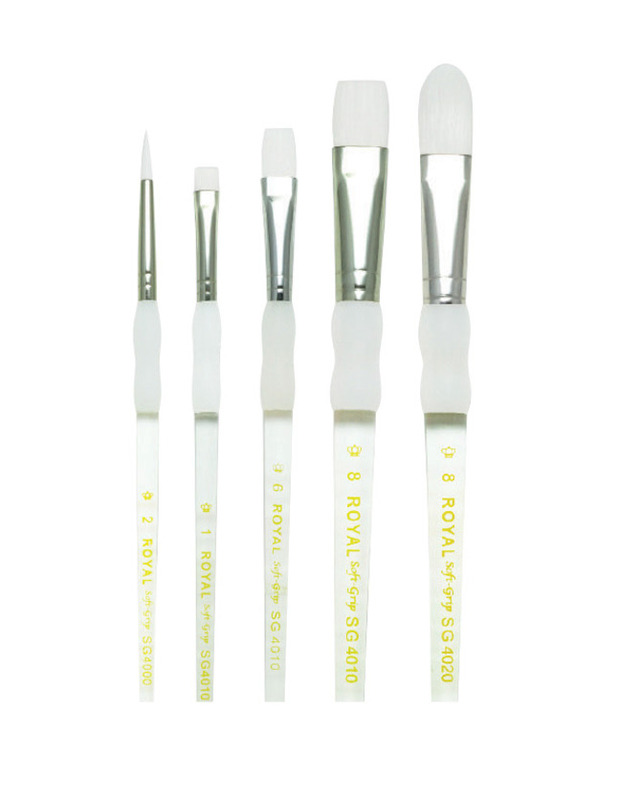 White Taklon brushes have a soft rubber grip for comfort and are suitable for a variety of paints. Designed for comfort & control, these artist-quality brushes feature a thick acrylic handle with a soft, no-slip rubber grip. Durable white Taklon fibers are set in seamless ferrules. 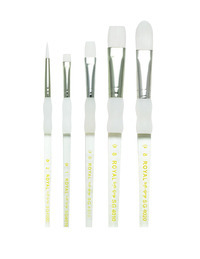 Suitable for a variety of paint types, including acrylics, watercolor and tempera. Not for under 3 years.